Logan Clutch Corporation is located in Westlake, Ohio, a suburb of Cleveland. Greater Cleveland has a population of more than two (2) million people and is situated on the Northern edge of Ohio, on the shores of Lake Erie. Cleveland is home to The Cleveland Orchestra, Playhouse Square, The Rock and Roll Hall of Fame and a strong network of metropolitan parks which span more than 21,000 acres. Cleveland also boasts several professional sports teams including the Cleveland Indians, Browns, and Cavaliers. On the shores of Lake Erie, and part of the Great Lakes Region, we have 21% of the worlds’ fresh water supply and 84% of North America’s water supply right at our doorstep. Company Founder, William M. Logan worked as a Design Engineer, Sales Engineer and Sales Manager for several large, power transmission corporations in the 1950’s and through the mid 1970’s. In 1975, he founded Logan Clutch Corporation on the premise that small and medium-sized OEM’s could be better served by a simple, straightforward Logan clutch design, which could then be modified to meet specific application requirements. The family legacy remains with the next generation carrying forward this tradition of design flexibility and customer service. 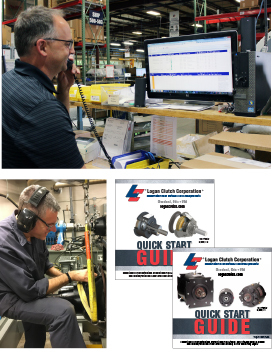 Family owned and operated since 1975, Logan offers a complete line of industrial fluid / air actuated multiple disc clutches, brakes, PTO clutches and pump drives for a variety of wet and dry clutch and brake applications. 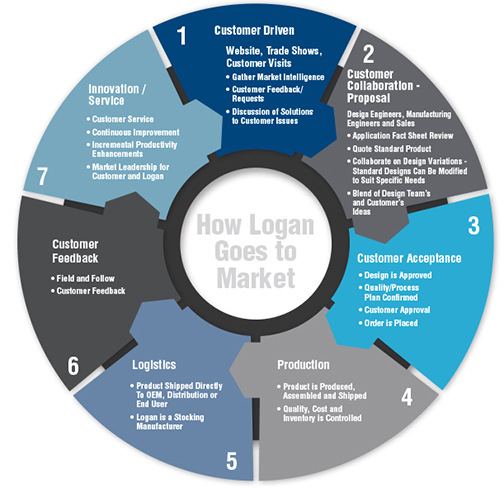 Logan is an integrated business strategically structured to respond to growing market trends and changing customer needs. Sales, design and manufacturing are housed under one roof at our Cleveland, Ohio headquarters. Logan’s design, development and manufacturing processes are efficient, flexible and evolving. 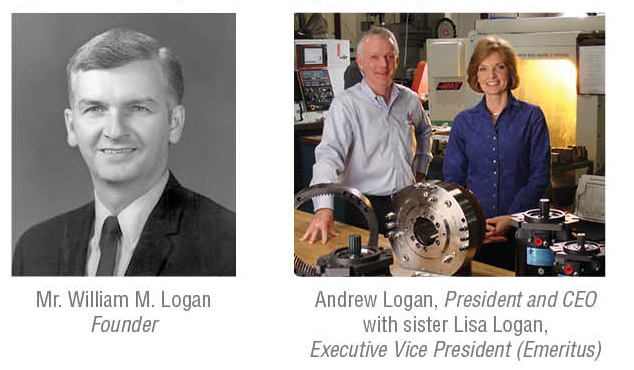 At the forefront of clutch and brake technology, the Logan sales, engineering and manufacturing team can respond to customers’ challenges with solutions that yield either incremental or breakthrough gains in durability, serviceability and economy. With over a dozen patents and a very active tech center, we offer our customers a significant advantage over their competition. Throughout its over 40-year history, Logan has built solid relationships with customers both here in the U.S. and abroad. Our network of Sales and Distribution representatives span throughout The United States, Canada, The United Kingdom, The Netherlands, Finland, Turkey, Europe, Japan, Singapore, Taiwan, Mainland China, Australia and New Zealand. To Provide Innovative Power Transmission Enhancements to our Customers. 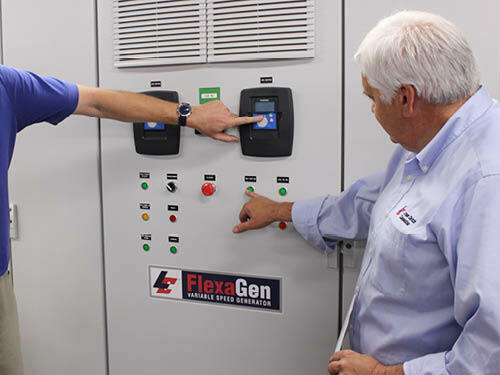 To be the provider that best understands our customers power transmission requirements – offering them enhanced quality, productivity, and market share. Communication, Collaboration, and Customer Service. We increase the value of our customers products - through reduced maintenance, fuel consumption, and lower emissions. Serving 11 industries worldwide, Logan is committed to providing customized solutions that meet its unique customer needs. Our clients have come to depend on a partnership based on expertise, experience and innovation. Logan also delivers a high level of engineering capabilities to meet even the most complex design challenges. By partnering with Logan, customers experience the quality, productivity and ultimately the increased profitability we offer. As an original equipment manufacturer (OEM) of industrial clutches and brakes, we’re committed to innovation. Logan products are manufactured in a high-tech, state-of-the-art manufacturing facility located Cleveland, Ohio. Our team utilizes the best machinery and equipment available today to create a superior product for our varied customer base. We are able to efficiently design, develop and manufacture solutions to meet each of our customer’s specific needs. machines in a wide array of industries including: agriculture, firefighting, hydro-excavation, marine, mobile, oil & gas, rock crushing, screw machine, aviation ground support, snow blowing and water jetting. Logan continues to improve upon its existing products and services to routinely deliver reliability, performance, and longevity. The Company is equally committed to an on-demand power source, which is better for the environment. Logan’s modern, state-of-the-art facility is well equipped with the technology, tools and know how required to keep pace with the rapidly-changing clutch and brake industry. Engineers, technicians and an expert team of product specialists control the manufacturing process from start to finish. We strive for excellence by strictly adhering to – and consistently surpassing – industry ISO and ABS standards, therefore ensuring that our customers receive the highest-quality products. 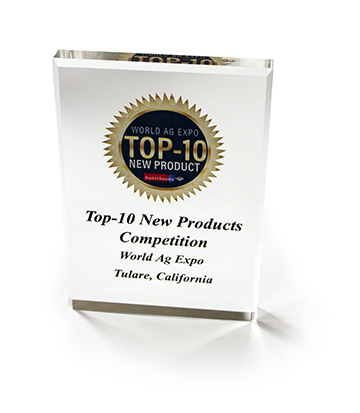 We continuously improve the quality of our offerings. Logan Sales Engineers work closely with the customers to identify what product or service will best suit their application. 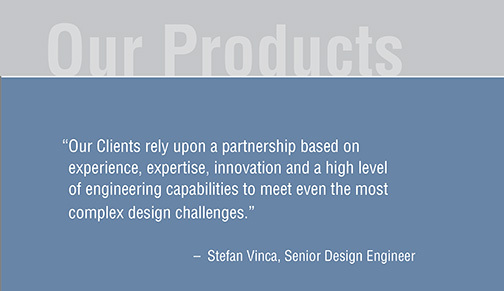 An experienced, dedicated team of engineers is equipped to design and modify products to fit specific customer needs. From beginning to end, our products are inspected to ensure that the highest quality standards are met or exceeded. ISO 9001-2015 approved and ISO-2015 compliant. From start to finish, Logan controls the manufacturing process and is able to respond to individual customer’s needs. 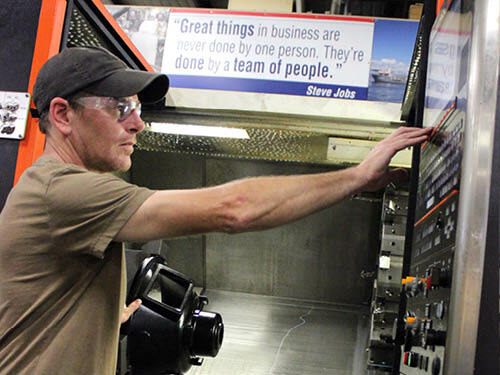 Our Cleveland, Ohio facility is clean, lean, modern, and flexible. 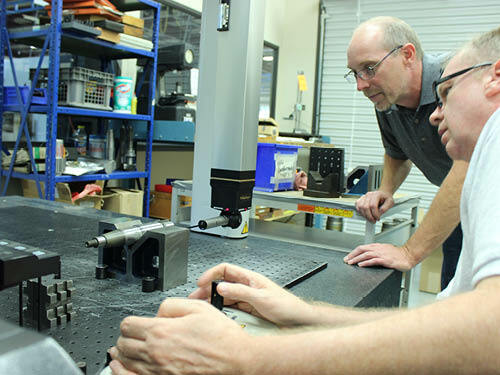 Our tech center enables us to continuously challenge ourselves and incrementally improve upon our products capabilities and component longevity. Our global partnerships allow us to address the specific needs of each and every customer worldwide. 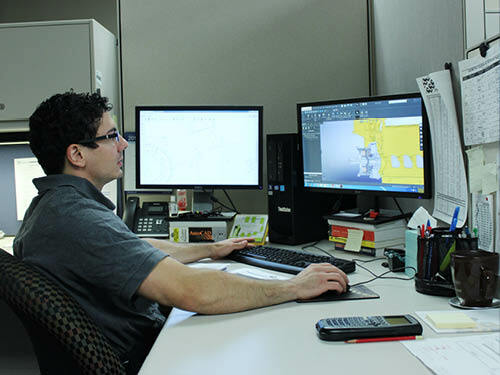 As an OEM, Logan understands that service is a key component to customer satisfaction. Our products are designed and manufactured to very high standards. As a stocking manufacturer, Logan Products can be serviced directly from our inventory, or through OEM and Distributor networks. 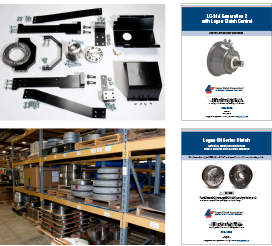 Fast and efficient parts fulfillment, world class remanufacturing capabilities and after sales support help you get the most out of your Logan product. Logan installation, operation and maintenance manuals (IOM Manuals) are available for most Logan products, depending upon the complexity of the application. We share our practical knowledge, helping you understand the best options available to extend the life of your Logan product, and your machine’s productivity.